It is very rare to have a hotel that receives practically zero complaints. The Herodion belongs to this league thanks to its dedicated staff that runs the hotel with personal care. 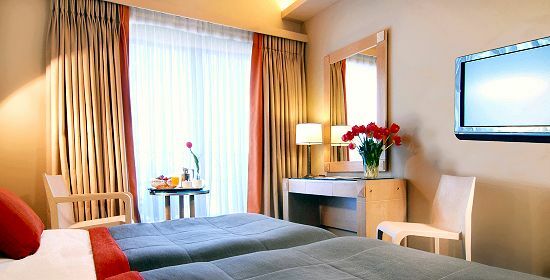 Centrally located, only 5 minutes on foot to the Acropolis of Athens and 15 minutes walk to Syntagma square, it offers accommodation in 90 rooms and suites, all with electronic key-card locks, private baths (equipped with bathtubs, marble floors & walls, magnifying mirror with built-in light, hair dryer, toiletries, wash cloths), turn down service, A/C, color TV, mini-bar, direct-dial telephone with voice mail messaging system and American type wall mount which is suitable for hooking up modems, mini-fridge, and electronic safe. There are interconnected rooms for larger families. 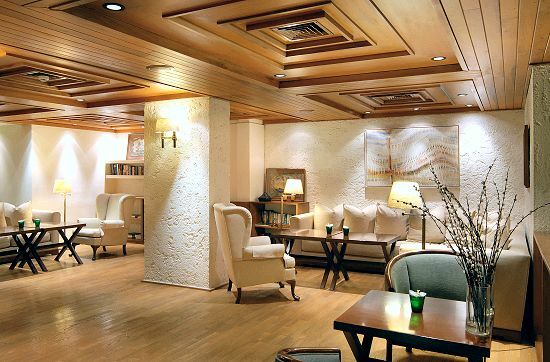 At the lobby area one can find an Internet corner, a gift shop, the hotel’s main restaurant where American buffet breakfast and meals are served, and a very welcoming atrium with natural light where one can order a drink or coffee from the bar or have a light meal. 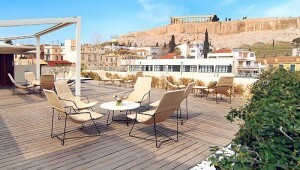 In the summer a roof top solarium and Jacuzzi with deck chairs & Acropolis view is open. Other services: laundry/valet service (with 24 hour service), 2 guest elevators, front desk & concierge facilities. The facade was completely remodeled in the year 2003, and the interior was renovated in 2003/2004. 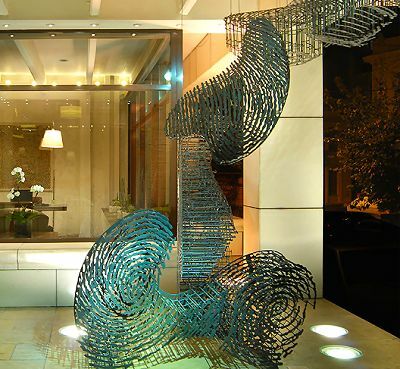 One of the highlights of the hotel is an iron modern sculpture at the entrance of the hotel, made out of the thumbprints of the family members that own the hotel. Herodion is a real value-for-money hotel with a favourable location in Athens! Great location for hotel, excellent service, very comfortable room. great location. 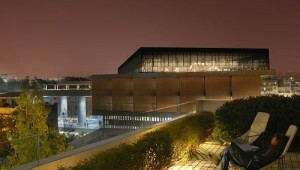 would rate it my third favorite after Royal Olympic and the Hera for comparable priced hotels located in city center. 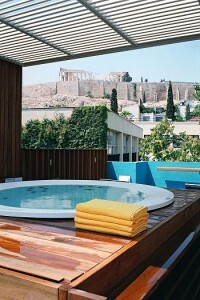 Fantastic hot tub on the roof, looking at the Acropolis and the Parthenon. Helpful front desk, room clean and beds were comfortable. Great walking distance to everything. We walked and walked. Service was attentive and breakfasts were good. The location was perfect, in walking distance to the Acropolis, as well as several excellent restaurants. The hotel was quiet, and our room was spacious and comfortable. Comfortable hotel, great location close to Acropolis. We loved the location. It was easy walking distance to the Acropolis and restaurants. Excellent service. Transfer to the airport was great. The driver was on time and got us to Athens airport in plenty of time. Excellent Hotel The staff was friendly and very efficient. The location to historical sites and the Plaka area for restaurants and shops was great. The breakfast buffet was fabulous. Excellent hotel with accommodating staff who work to make your visit a pleasure. The front desk was especially helpful in arranging for a transfer to the port for a cruise. Location of hotel was great, triple rooms a little small but very clean and staff very helpful. This hotel is in the heart of the Athens action. 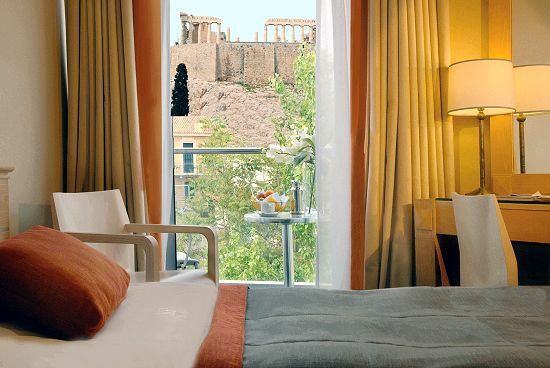 You are within walking distance of many of the historic structures and museums in Athens. You can walk to the Plaka and the Flea Market. The rooms are excellent and the front desk was most helpful with all of our arrangements. Though we were leaving early, they made sure we had a breakfast ready for us. Would stay here again. We would have preferred double bed in 1 hotel room. 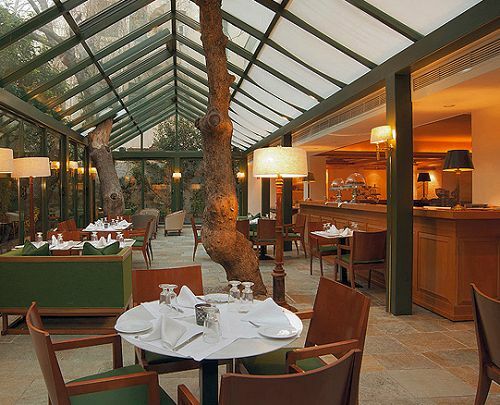 But it was beautiful, great location, and superb service.